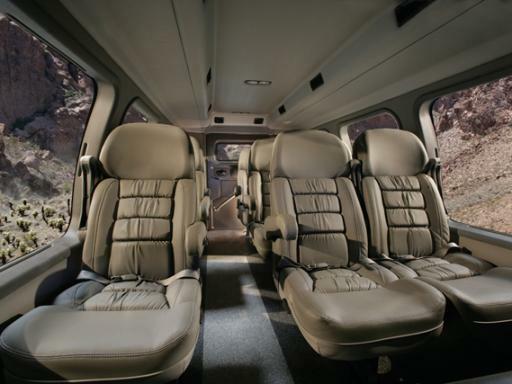 comment The amazing custom-built tour trekker includes plush leather captain’s chairs, extra-large viewing windows and a flat screen DVD player. 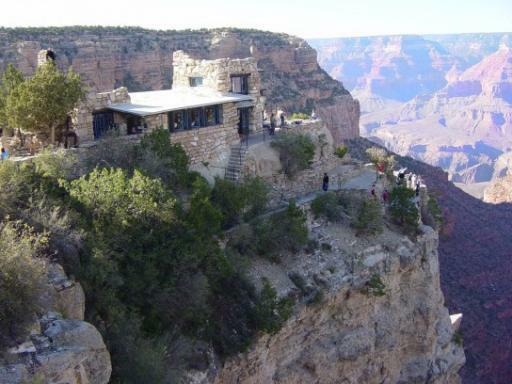 Experience the Grand Canyon… in grand style! 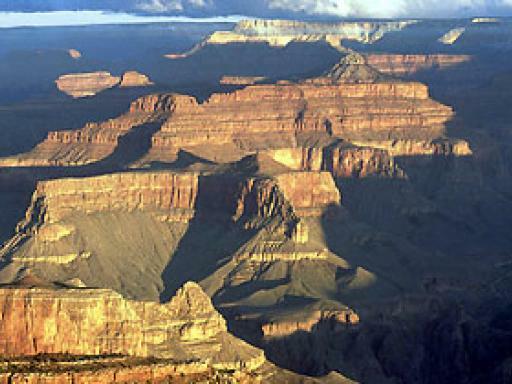 Enjoy this unique adventure to the South Rim of the Grand Canyon National Park where you’ll be mesmerized by the sheer beauty and vast expanse of this geographical wonderland. 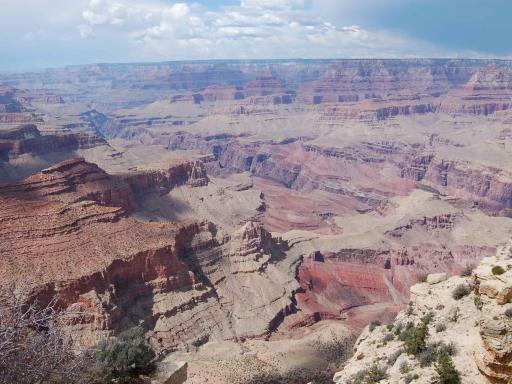 You'll stop at the best viewpoints and receive extensive information about the history and geology of this magnificent natural wonder along the way from your expert driver. 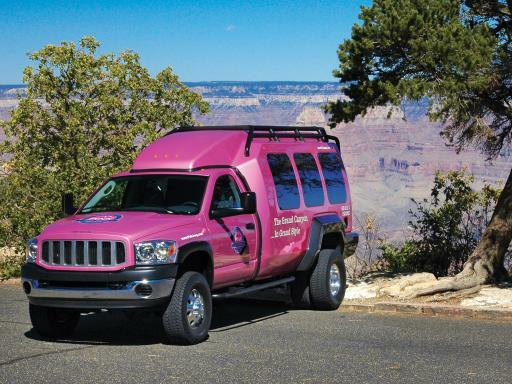 Head to the Grand Canyon’s spectacular South Rim in a luxurious pink Tour Trekker Jeep, specifically built for sightseeing and off-roading. 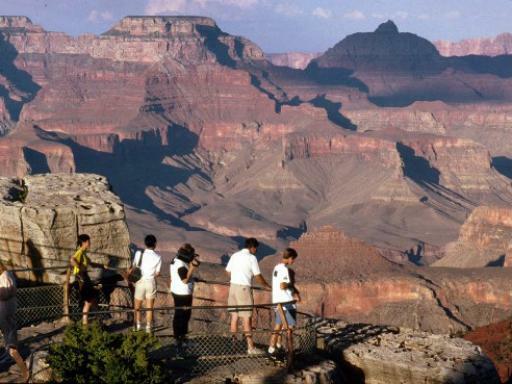 Your personal tour guide will narrate your journey as you travel through the arid Mojave Desert, along the historic Route 66 to Williams Arizona and through the beautiful mountains and ponderosa pine forests of Coconino Plateau. 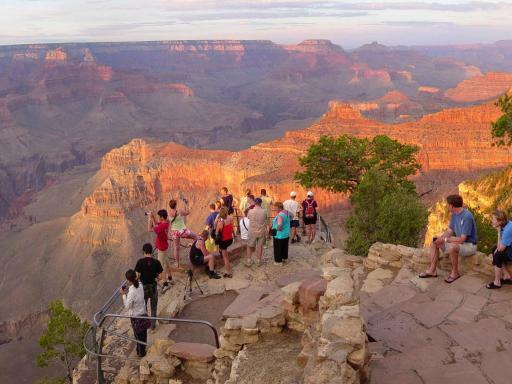 On arrival at the Grand Canyon National Park, you’ll spend three hours at the South Rim, giving you plenty of time to delight in the breathtaking desert landscapes and enjoy a lunch with this wonderful backdrop. 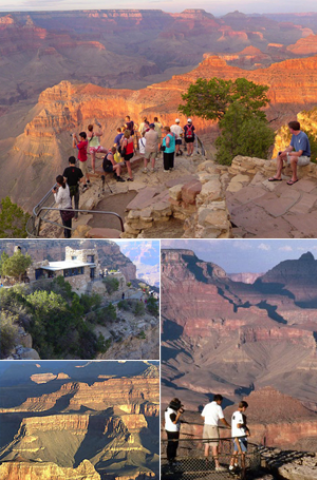 Your Canyon adventure will then continue back in the pink jeep with your guide narrating the way along the South Rim to the widest and deepest parts of the Canyon, Bright Angel Lodge, Yavapai Point and Mather Point, each point offering magical panoramas. 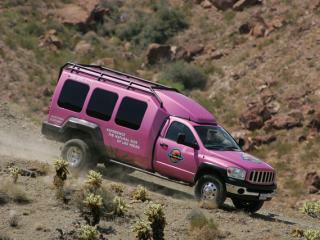 Pink Jeep has offered its award-winning guided tours for 50 years and is known as one of the premier “must-do” adventures in the West. 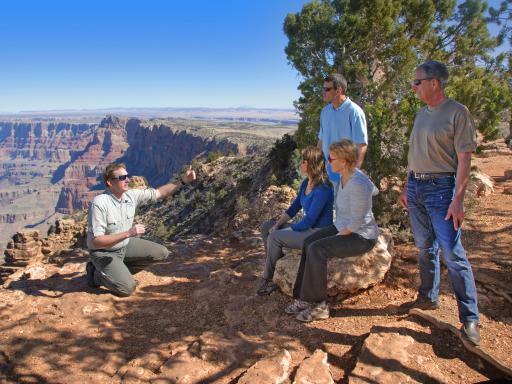 Tours are small and personalized seating only 6-10 guests per vehicle for a more comfortable, small group interactive experience. 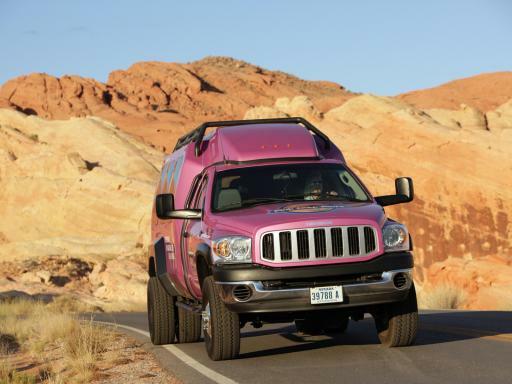 Don’t miss out on this fabulous pink jeep geographical adventure! Start Times: Hotel pick-up is between 5.45am and 6.15am depending on your hotel location. 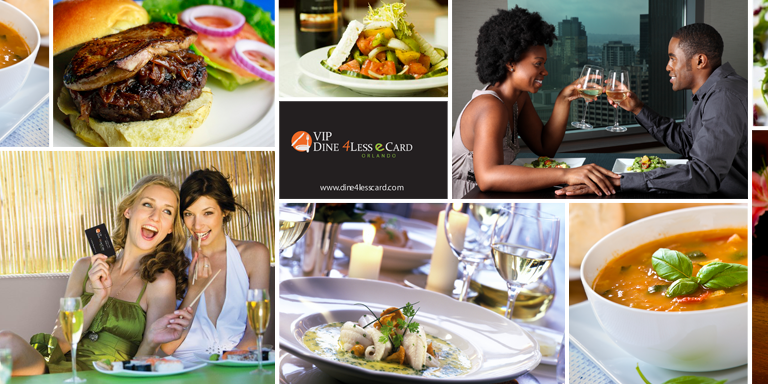 Hotel pick-up and drop off is available from all hotels located around the ‘Strip’ and Downtown areas of Las Vegas. 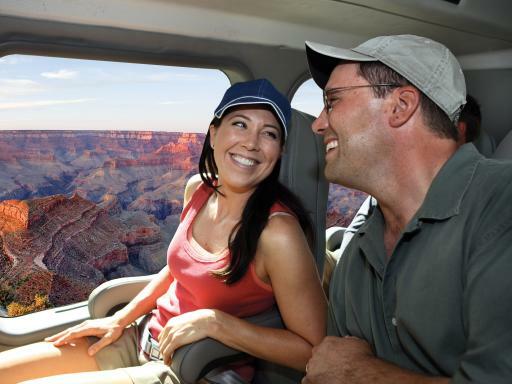 You’ll travel in custom built 10-passenger Tour Trekkers, specifically built for sightseeing/off-road, or fully loaded 6-passsenger SUV tour vehicles. 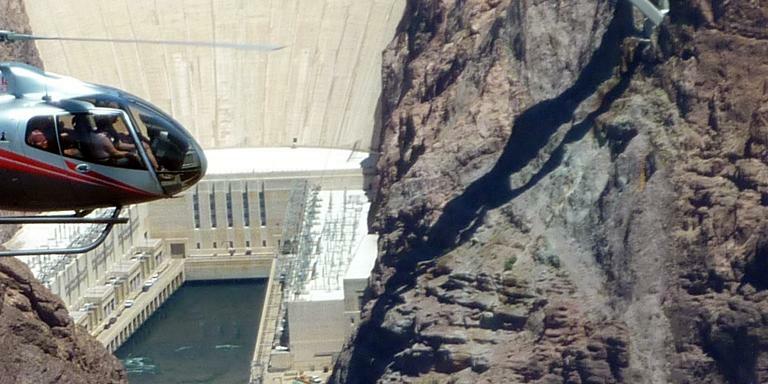 Advanced reservations are required. Please detail your chosen date at the time of booking. All children must be accompanied by an adult and be at least 3 years old. Car seats will be provided although guests are welcome to brind their own. Nevada law requires children to be properly secured in a car seat until they are at least 6 years old and weigh 60lbs. 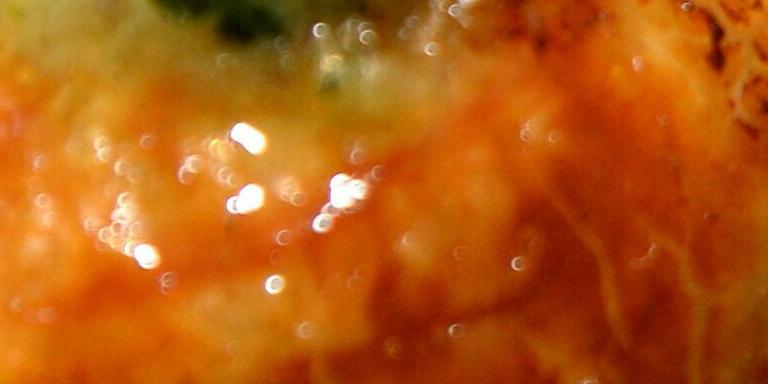 You usually have the option of either a cream cheese bagel + fruit cup OR a Yoghut & Granola + fruit cup.